To find your Toyota part from a RECYCLER NEAR YOU, just enter the YEAR, MODEL and PART TYPE you wish to locate and your ZIP code in the above form and press the "FIND" button. Find all your used Toyota parts on PartsHotlines! When you need Toyota Used Parts make PartsHotlines your first stop. Our used auto parts locator searches the top recyclers in the country and your area to find the used Toyota parts that you need. Toyota began as a division of Toyoda Automatic Loom Works, directed by Kiichiro Toyoda, the founder’s son. In 1929, they sold the patent for their automatic looms to a British Company and used that money to begin developing automobiles. Originally sold under the name “Toyoda”, they released their first passenger car, the Model AA, in 1936. The name “Toyoda” literally means “fertile rice paddies”, and they wanted to avoid being associated with farming, so in 1937 they changed the company’s name to “Toyota” and registered the Toyota Motor Company. Toyota owners all know that they own a pretty dependable car. When they break down, it’s almost hard to understand how it could happen. 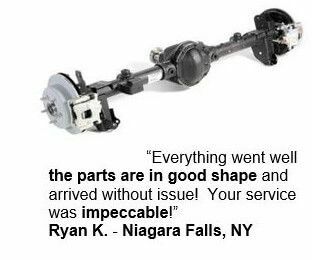 That also translates into a very dependable used part – our used Toyota parts last a long time and also provide great service. We have found very few weaknesses in Toyota engineering, and will give you the advice you need to keep your car or truck running with that legendary Toyota reliability. In selling these parts for the last 25 years we’ve learned what breaks, why it fails and how to keep it from happening to you. 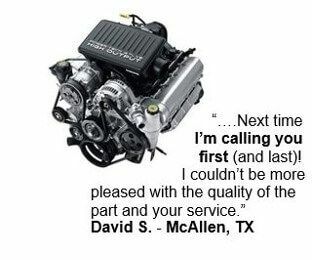 Let us help you – our parts are usually less than half what new parts cost, but they can keep you driving yours for a long time to come! The Toyota Motor Company originated as a division of the Toyota Loom Company, founded by Sakichi Toyoda in 1933. Toyota started with the introduction of the Model A1 passenger car in May 1934. Shortly after, Toyota produced its second model the GI truck in August 1935. With the success of these models, Toyoda’s son Kiichiro Toyoda, founded the Toyota Motor Company in 1937. During World War II, the company contributed to Japan’s war efforts with the production of trucks for the Imperial Japanese Army. In 1947, Toyota began producing the Model SA, or the Toyapet. Thereafter, Toyota introduced passenger cars including the Toyopet Crown, the Toyopet Master and the Crown Deluxe. The first shipment of the Crown arrived in the United States in 1955. With the addition of the American market in the 1960’s, Toyota introduced several more models and reported over 1 million units in annual domestic sales. Toyota Motor Company and Toyota Auto Sales merged in 1982, becoming Toyota Motor Corporation. In 1984, New United Motor Manufacturing Inc. was created via a joint venture of Toyota with General Motors, allowing for production in the United States. In the 1989, Toyota launched Lexus, its luxury vehicle division. Following, Toyota began to add larger luxury vehicles to its line, including the Tundra and the Land Cruiser. Toyota also added the Camry Solara, a sportier version of the Camry. The company also introduced its Scion brand in 2003, which offers smaller cars and is geared toward a younger demographic. In 1997, Toyota introduced the world’s first mass-produced electric car, the Toyota Prius. The Prius has become the best selling hybrid in the world. Toyota has built on their technology by adding the Highlander and the Camry to the hybrid family. The hybrid Sienna is expected to be debuted by 2012. Toyota has led the automobile industry in environmentally friendly vehicle concepts through environmental action plans and technological breakthroughs. Toyota has introduced the Eco Drive Indicator on vehicles in their Japanese market, which indicates when the vehicle is being operated at the most optimum conditions. In addition, since the 1970’s, Toyota Group has developed industrial robots. The company introduced a trumpet-playing robot in 2004 and continues to develop robots designed for elderly care, manufacturing and entertainment. Toyota is also involved with aerospace as a minority shareholder in the Mitsubishi Aircraft Corporation. Today, Toyota offers about 70 models, ranging from the subcompact Yaris to the eight-passenger Land Cruiser. The company has manufacturing plants in nearly 30 countries and employs nearly 318,000 individuals. Toyota is sold in more than 170 countries worldwide, and continues to the leader in automobile sales and production worldwide. We can help you with each of those models and save you money with used instead of new. 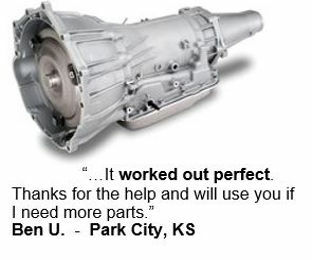 Let us find your quality used auto parts in seconds. Just click here and we’ll start your search. After you’ve entered the year, make and model of your car, and what part you’re looking for we’ll search the salvage yards in your neck of the woods and beyond. You’ll save money and can be confident you’re getting the right part at the best price!